Smirnoff Ice was looking to build a brand connection with Hispanic females (W21-34) in key markets during the targeted summer months. With this in mind, KMS and Smirnoff Ice tapped in to the authentic connection between local personalities and their listeners on targeted Hispanic radio stations. From Memorial Day to Labor Day (the unofficial start and end of summer) station personalities shared their love for Smirnoff Ice on-air, through social media, and in person – hosting Smirnoff Ice events at local retail outlets. In addition, Smirnoff Ice and local radio stations awarded local listeners with a Smirnoff barbecue party – hosted by the local station personality – complete with a brand new grill, food, and Smirnoff Ice. 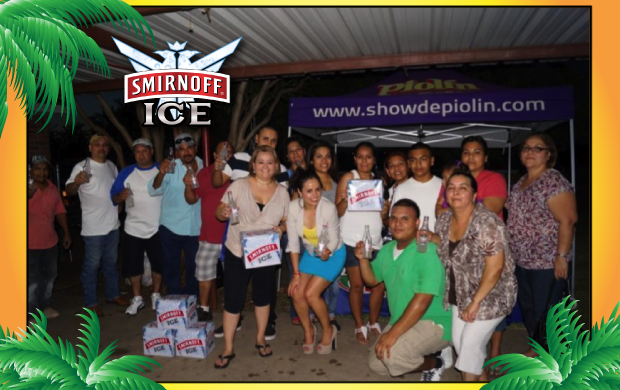 Smirnoff Ice reinforced its strong position in key Hispanic markets, mirroring key passion points for targeted consumers.